How important is swimming for your kids? To me it’s very important and I’m planning to teach Juju in an early age, just as me. I know how to swim, every body in the family knows how to swim, so nshallah Juju will join us soon. It’s very important because it might save your kid one day from drowning. You don’t what might happen this evening or next week. Your kid might fall in a swimming pool. You want to make sure that your child knows how to save himself and manage to get out by swimming. 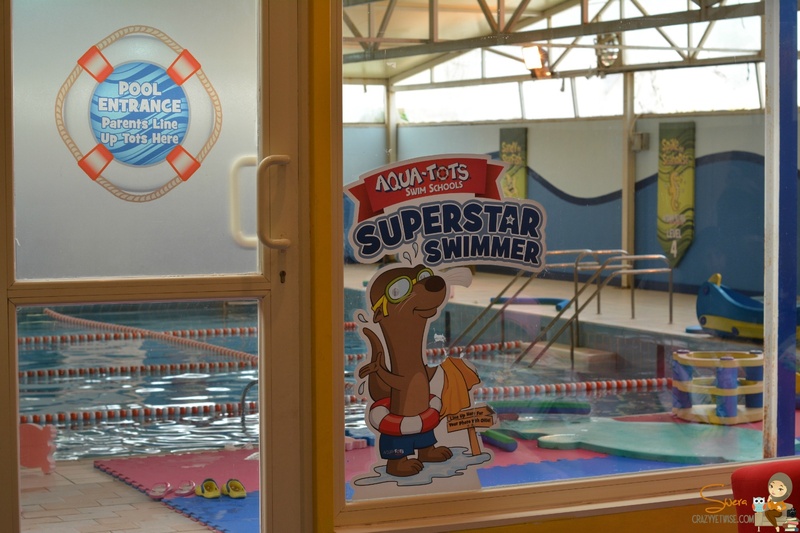 I got an invitation from AquaTots International School to try the place for one day. Knowing that Juju is still young for swimming and might get swimming-fobia, they forced me to get in the pool with her. It was weird with all people looking at me, but well I enjoyed it a lot. It was a very lovely experience, i will take Juju back nshallah but not now, I want her to be a lil bit older. The place is very well equipped. It has everything that you need.